Fans of Goodnight, Goodnight, Construction Site by Sherri Duskey Rinker, Where Do Diggers Sleep at Night? by Brianna Caplan Sayres, and Kate McMullan will be thrilled by this celebrated and endearing picture book about a young boy with a dream of owning the perfect pet. 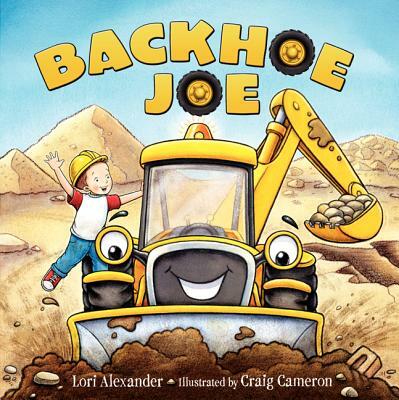 This delightful story of a boy and his construction vehicle is brought to life with Craig Cameron's vibrant illustrations, making this the perfect addition to every young reader's library. Craig Cameron is from Carrickfergus, Northern Ireland. Over the last decade, Craig has worked on many exciting projects with book publishers in both the UK and US and has created illustrations for licensed characters, magazines, greeting cards, and product packaging. He currently lives in Manchester, UK, with his wife, Annette, and their three children, Ellie, Lewis, and . . . Joe!